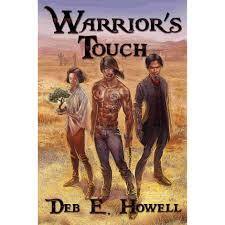 Warrior’s Touch by Deb E Howell (sequel to Healer’s Touch), is an escape into the life of Llew, a Kara with incredible healing powers. Held hostage away from her own ‘Romeo’, Jonas an Aenuk warrior, Llew uses her wit and her love to save their unborn child from a power thirsty immortal. Woven throughout the novel is the heartache of inherited misery and mistrust in a world where doing the right thing can get you killed, and so can doing the wrong thing. Dropped into the middle of a never ending battle between the Kara and the Aenuk, Deb E. Howell builds a gritty world of magic and mayhem. You can almost taste the dust and smell the sweat as Llew and Jonas fight for each other and a world they can only imagine.